We've compiled our favourite success stories from some of our clients into this eBook. Learn how to accelerate your people strategy and how to use an engagement hub to achieve your unique engagement goals. Feedback is an important part of life. Without it, our connections would be incomplete. Communicating with people is how we learn to improve things, create efficiencies or bring people closer together. The same goes for in the workplace – you need to openly communicate with your employees. 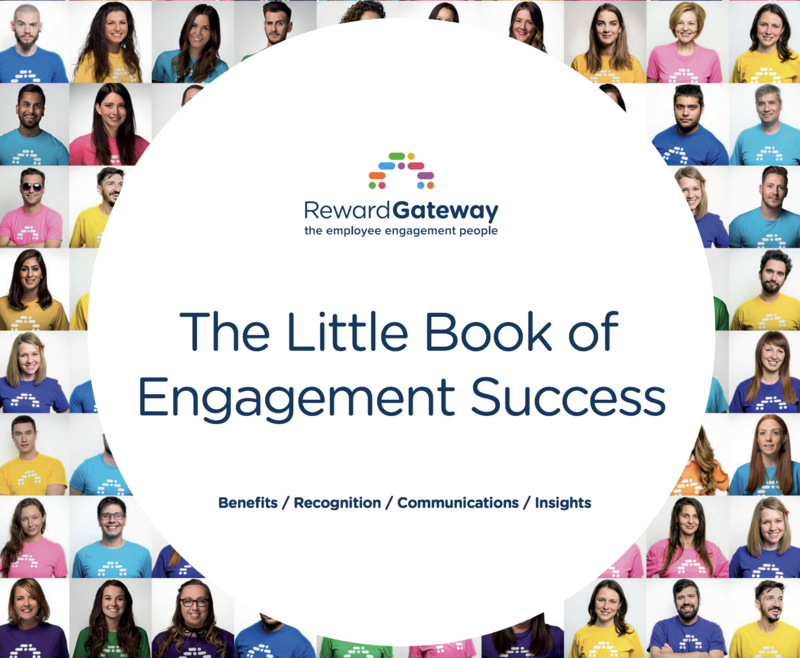 Here at Reward Gateway, I’m continuously collecting employee feedback and working with the People Team to create structured goals for the following year and improve employee experience with employee feedback. 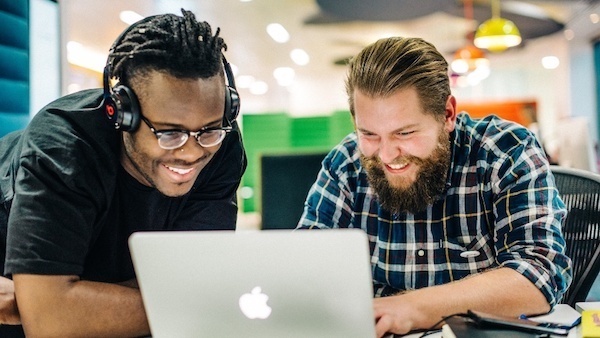 While pay and benefits are a huge part of our jobs, we’re constantly working towards improving our People Strategy which encompasses so much more. For me, I see the value in both formal and informal feedback. Feedback comes through many different channels, such as communication, recruitment and learning. I like to think of feedback as a gift – something which empowers the employee and gives them the skills and tools to be as effective as they can be. Being an approachable leader in the workplace is key because I want employees to stop by my desk to chat, or feel comfortable starting a conversation with me via Slack. On the flip side, I also see the power of formal feedback with our annual surveys which allow us to really dive deep into the data. It’s no surprise that feedback impacts how we create our goals (and sub-goals) for the year. Let’s break down the importance of creating a people strategy. The word “people” is reflective of all the humans who make up your organisation – every person’s role is impactful on the business. Meaning, asking your employees about their role, their experiences or areas to improve upon to involve them in the conversation and open up the doors to two-way communication. Defining your people strategy is completely dependent on your business needs, values and your mission. After collecting relevant feedback, how do you decipher which data will have the strongest effect on your people? In my experience at Reward Gateway, I’m regularly talking to people, thinking about how we can make the deepest impact, and reminding my team and I to not be afraid of failure. Failure is an opportunity to do something else after all – and something bigger at that. We’re constantly striving towards making the world a better place to work (our mission) and we use our values to support us along the way. 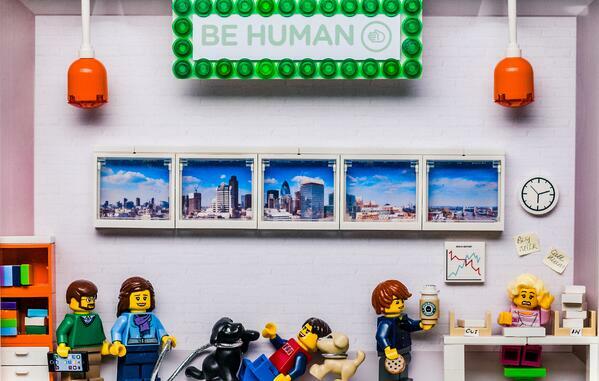 An example of this is “Be human” – which helps define our People Team goals for the year. One of these 2018 goals, in particular, focuses on diversity and inclusion, which goes back to our value of Be human and in turn, supports our mission. Another example is our “Speak up” value, which encourages feedback to come through various, informal channels, allowing feedback and insight to flow freely at a company event or after a new product rolls out. Being on the People Team means more than carrying around super large papers and bundles of documents, it means gathering evidence, creating a vision and strategically supporting that vision with meaningful goals which will make the workplace better for all RG people. The biggest piece of advice I can give is to keep learning– learning from your people and your process. As members of the People Team, we’re constantly sifting through data to identify common themes, create structured goals and share our insights with one another. Collecting data can range from overhearing a conversation in the office to conducting formal research – it’s all about being open to what we hear, see, discuss and receive. Overall, feedback should be frequent and messaging should be consistent. There’s no fixed path for deciding your People Strategy. Embrace open-mindedness, adopt products which enhance your strategy and plan for the future. Adopting a product which ties employee feedback and employee communication together is extremely valuable for People Team members. All-in-all, thoughtfully plan out your inclusive people strategy, and also leave room for improvisation as opportunities arise. By embracing open communication, organisations can learn how to create efficiencies, bring their people closer together and empower their workforce to provide valuable feedback. Robert is the Group HR Director at Reward Gateway. In his spare time he goes to gigs, watches football and cricket and enjoys the odd ski weekend. You've heard our thoughts, now add yours. Leave a comment below!